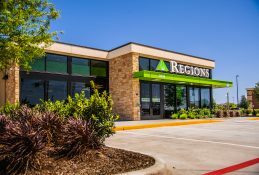 HOUSTON, Texas – March 26, 2019 – Regions Bank on Tuesday announced it will open two additional locations as part of the bank’s expansion plans throughout the Houston market. 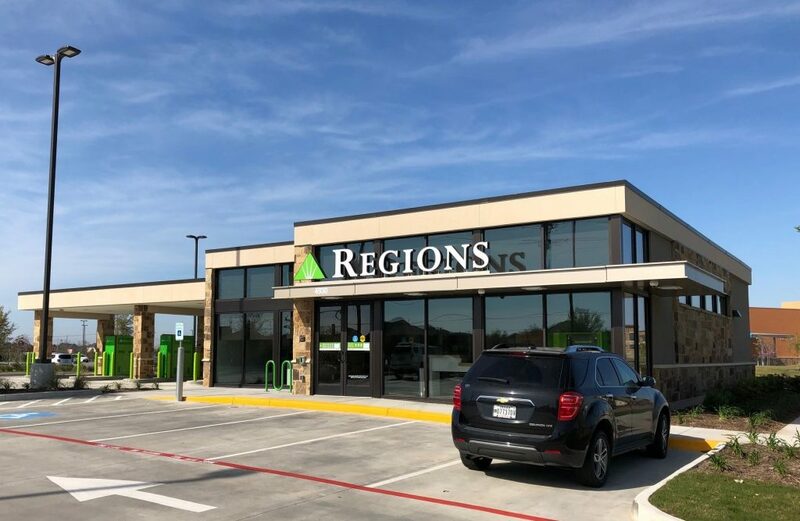 Regions will formally unveil its Kuykendahl branch in the Grand Parkway Marketplace at 6730 Spring Stuebner Road during a grand opening on Saturday, March 30. 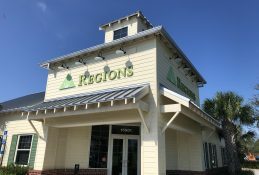 The Cross Creek branch at 4930 FM 1463 Road in the Fulshear-Katy area will celebrate its grand opening on Saturday, April 6. 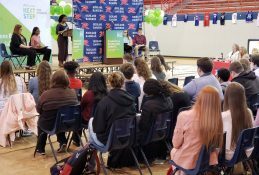 Each grand opening will take place from 10:30 a.m. until 1 p.m. 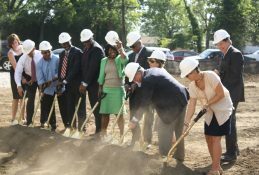 The two branches are the latest among 13 Regions locations scheduled to open in the Houston area by the end of this summer. 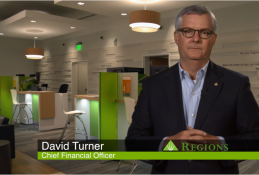 The branches are built around a goal of making banking easier, more convenient and more relevant to today’s customers. There’s no waiting behind a counter. There’s no traditional teller line. Instead, when people walk in, they are greeted personally by a local banker who is ready to provide a wider range of financial services. 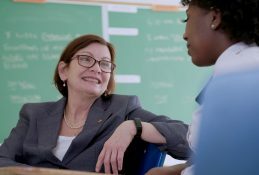 Given the combination of personal attention and updated technology at these branches, visitors can accomplish everything from routine transactions to sitting down with a financial professional and creating a customized roadmap toward reaching individual goals, like making a major purchase, saving for the future or any number of other financial objectives. The Kuykendahl and Cross Creek locations both include three drive-up Video Banking ATMs and one walk-up Video Banking ATM in the foyer. The foyer is accessible after-hours by scanning a debit or credit card with a magnetic stripe for entry. 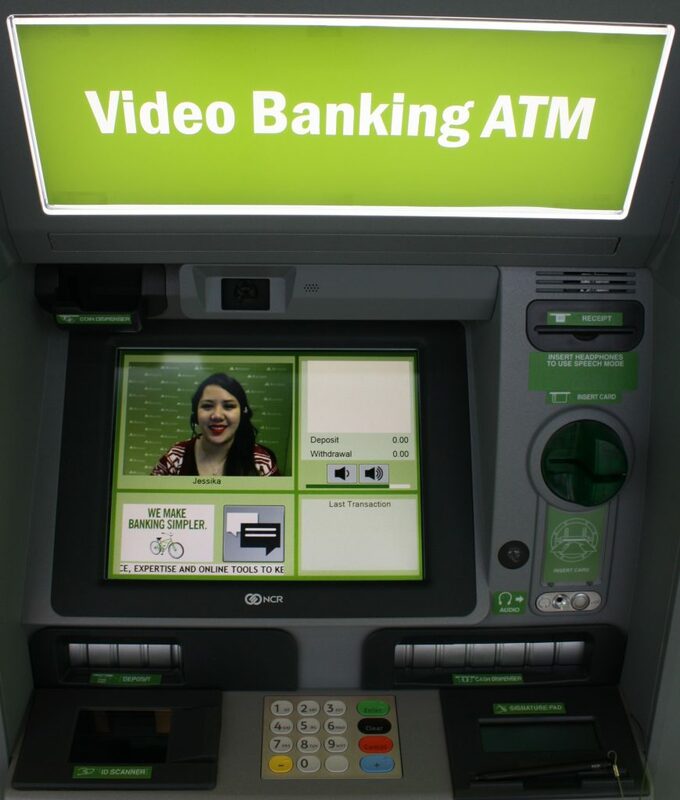 Regions Video Banking ATMs allow people to choose standard ATM service or personal service from a Regions Video Banker who speaks with customers via live, two-way video. At each grand opening, Fire Craft BBQ will be on site to provide lunch for visitors. 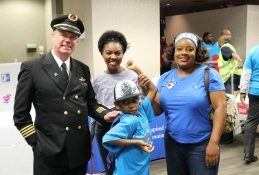 People can also enjoy games and register to win a Regions LifeGreen custom cruiser bicycle and helmet. 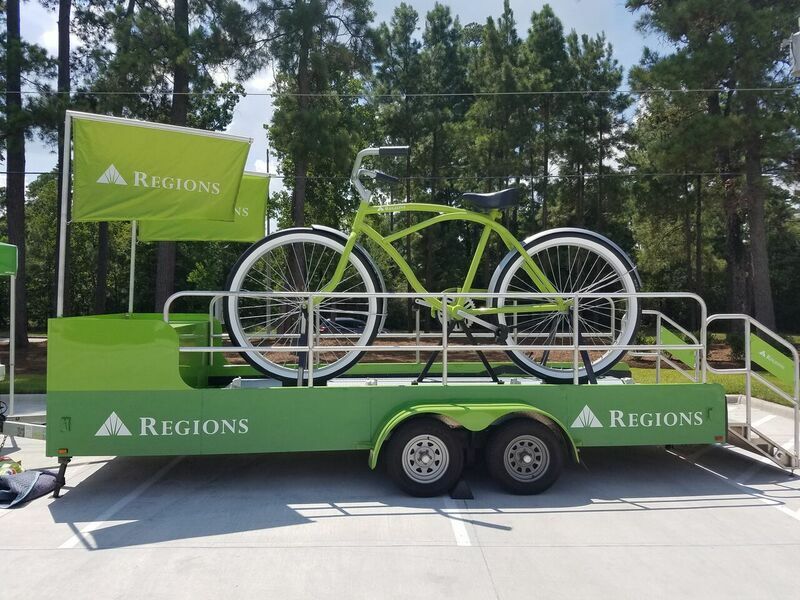 Regions’ “Big Green Bike” will also be on display. 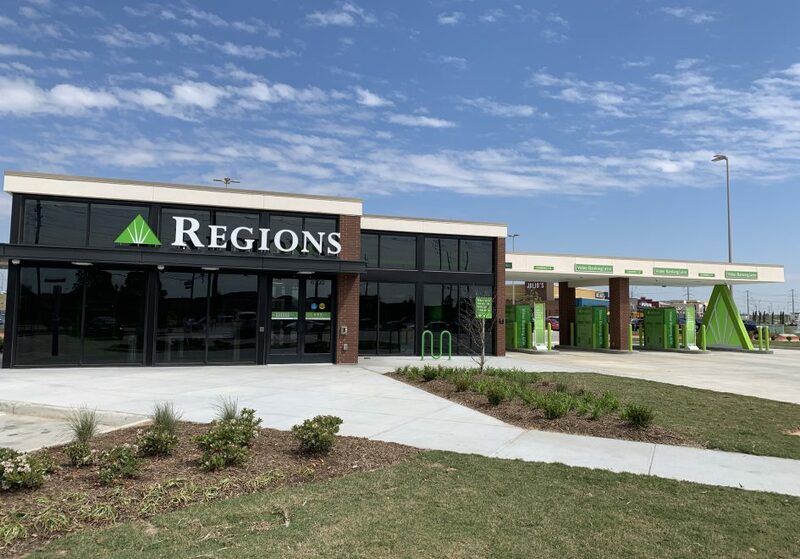 People can check out Regions’ Big Green Bike during the grand opening of both branches.